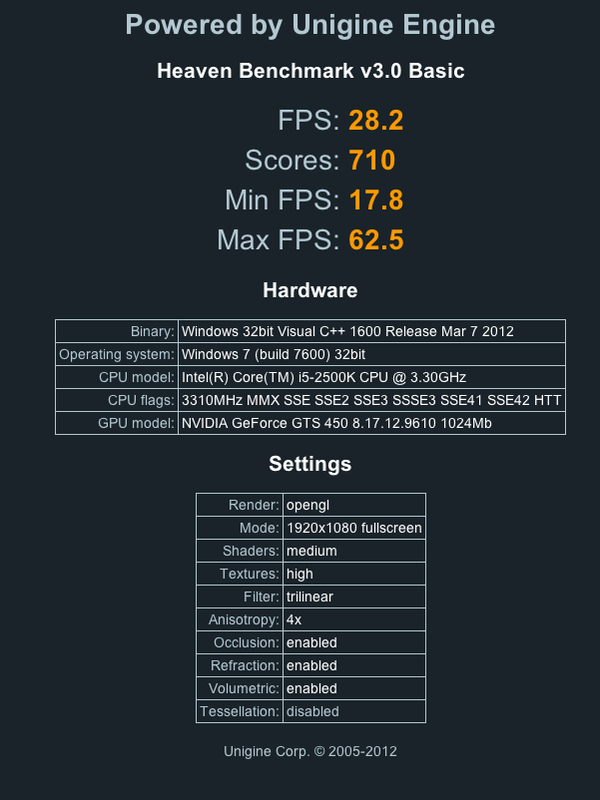 Chimera 1.9 - Dual/Triple NVIDIA GeForce with Stock DSDT! Since my motherboard dosen't support SLI...if i put the second vga (9600gt) it will work just to have other monitor working? I use a efi string in boot.plist for my quadro, so i can remove it using the last chimera on snow leopard ? Anyway this is a great work!! if i can't use it now...surely ill use on my new hardware ! Will I need to set the GTX285 to the first PCIX16 slot still and the 8800GT to second slot or can they be reversed? Can I also just install the new NVIDIA support or a full reinstall is required? No SLI strap necessary- it just works- but keep in mind many mATX boards don't have two x16 PCIe slots. What can I say? Thank you? But I want to ask something: How many monitors working exp. with 2/3 cards? Of course at the same time. I know nobody (I doubt) got 6 monitors here but I'm curious. Because soon the "Buying Advice" section will flooded with questions like this. I want to prepare myself as possible as I can. Each NVIDIA card can handle 2 monitors max I believe- so 3 would get you 6 monitors. Close enough... and it's a great deterrent example. If you want 6 monitors, you will need to get three nVidia cards. I mean it's very pricey if somebody want high performance. 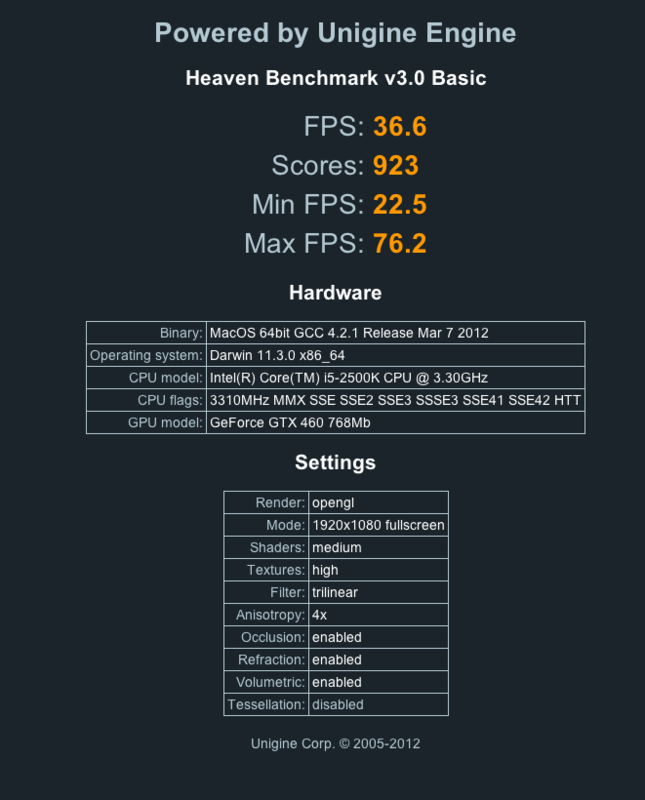 Had a chance to test Unigine 'Heaven' Benchmarks on Windows 7 / Mac OS X 10.7.3 today. I don't understand yet: two graphic cards (even different models) that work simultaneously and multiply their power? Or just a way to use multiple monitors or different card with different OSX versions?